Donna Fasano's books have sold upwards 4 million copies worldwide and have been published in nearly two dozen languages. Originally published by a traditional publisher, Fasano decided to go the self-publishing route — and is now making a living off her books. Valerie Peterson: What services do you publish and distribute through? Ebooks? Print? Any advice for authors there? Donna Fasano: My books are available for Kindle, Nook, Kobo, and as iBooks (in the iTunes store). 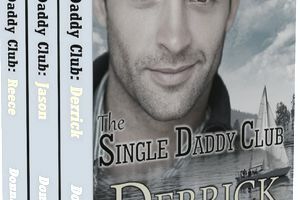 A few of my ebooks are available on ​Smashwords.com. Some of my books are available in print. I use CreateSpace for my print books, but there are other companies that offer POD (print-on-demand) services, such as Lulu.com, Print-To-Press, etc. My books are also available as audiobooks at Audible.com, Amazon, and iTunes. My advice to authors is this: make your books available in as many venues as possible, in as many formats as possible — ebooks, print, audiobooks, and any new format that might come along. I spent 20 years of my career putting "all my eggs in one basket" and I don't intend to make that mistake again. There are voracious readers all over the world, and all of them have different preferences in how they like to read: some like to hold a paper book in their hands, some prefer an e-reader, some like to download books onto their smartphones, some read from their iPads or other tablets, while others are avid listeners. I want my books to be available to anyone who might like to try my romance novels. VP: What book marketing tools do you rely on? DF: First of all, packaging, meaning book cover and book blurb (aka, your product description). For anyone who wants to go indie, know that these are the first things your readers are going to see when they go to the Kindle Store or the Nook Book Store, or the iTunes iBook Store. Paying a graphic designer to create a great cover is well worth the price. Unless you have a vast knowledge of Photoshop, don't try to do the cover yourself. And when you write your book description, use strong verbs in your blurb. Hook the reader by describing your protagonist or the world you've created. End the blurb with an open-ended conflict that will have the reader feeling that he/she must read your book. VP: So how do you connect with new potential readers? DF: I'm just finishing up a 50-blog New Release Event for Reclaim My Heart that took place over 10 days. It was fun, but it was a lot of work. However, reaching out to review blogs is one great way to find new readers. An author can find a long list of review bloggers in just about any genre by Googling "[insert genre] blog directory" or "[insert genre] blog database." And as I think I mentioned, advertising is important. Ereader News Today is an economical place for new authors to start. Book Bub is more expensive, but your ad will get results. VP: Do you have a lot of interaction with your readers through social media or any other forums, like readings, signings, conferences, etc.? DF: Many years ago, I participated in readings and signings in bookstores. I once went on a 4-city book tour. I gave workshops and seminars at Romance Writers of America (RWA) conferences, and also traveled around to local high schools and talked to the students about my career. I spoke at local book clubs. And although all of those things were fun, I'm not sure those activities did much more than stroke my ego. "Look at me, I'm a published author." These days, I meet and greet readers every day on-line. I'm on Facebook, Twitter, LinkedIn, Google+, Pinterest, and Tumblr. I have a blog called In All Directions (because I never know what I might like to blog about) and I have a promo site that I run called Awesome Romance Novels where I promote other authors' romance books. Donna Fasano is a three-time winner of the HOLT Medallion, a CataRomance Reviewers Choice Award winner for Best Single Title, a Desert Rose Golden Quill Award finalist, and a Romance Writers of America Golden Heart finalist. Since becoming an Indie Author, she won the 2013 Readers' Choice Award for Best Romance at BooksAndPals.com. Her ebooks have made the Kindle and Nook Top 100 Paid List numerous times. Visit Donna Fasano's website.